Snail mail is extra slow when delivered by actual snails! The whole cast of Frog and Toad gathers to celebrate their success. The Spring 2013 Musical is Sleeping Beauty. The performance dates are Friday May 17 and Saturday May 18. Times for the Friday show are 8:30AM at an FRCS assembly and 7PM at the Forest Ranch Community Center. The Saturday performances will both be at the Forest Ranch Community Center, one at 2PM and one at 7PM. This is a very popular community event. Tickets may be purchased in advance at the FRCS office or you may take your chances at the door. 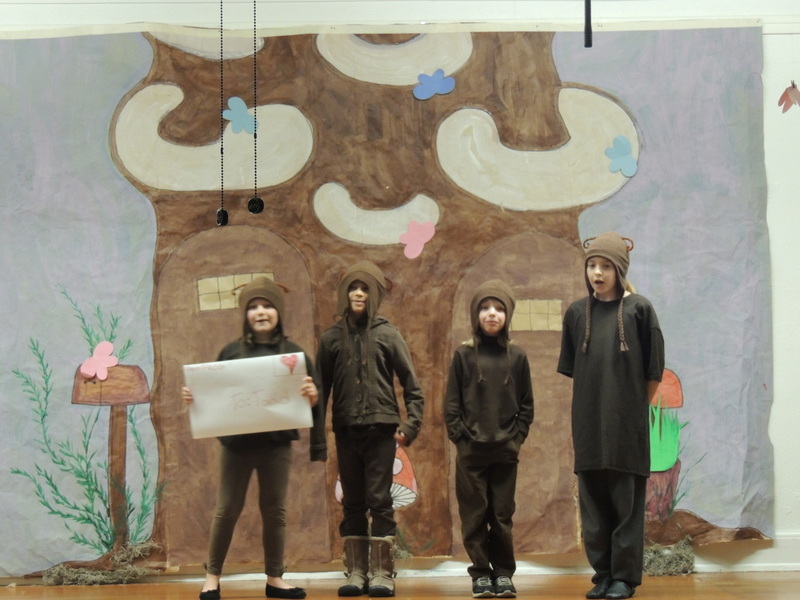 As part of the elective rotation this spring the FRCS students presented "Charlotte's Web: The Musical". Not every students was in the cast, but just about every student participated. Electives included Business Development, Set Design, Costume Design, and Cast. The Business Development group was responsible for advertising and ticket sales. Set Design did a fantastic job with props and painting the sets. Costume Design was imaginative and often humorous. 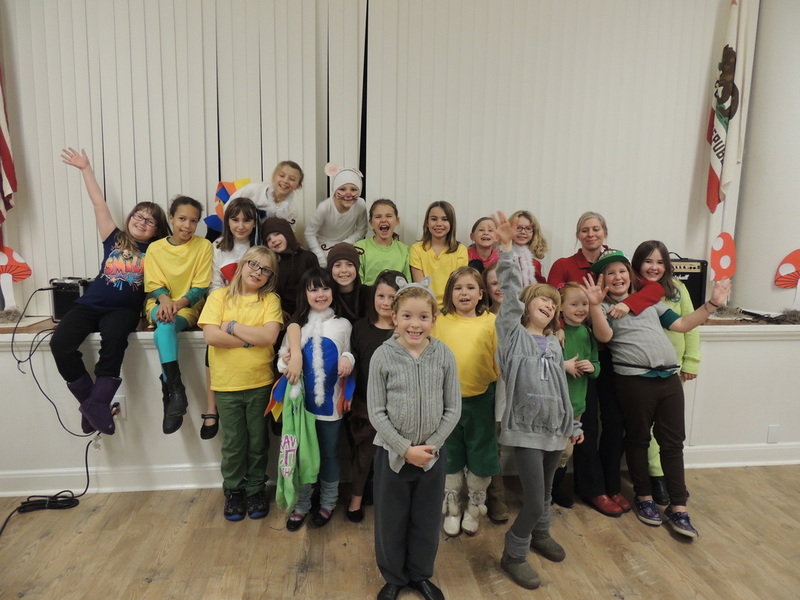 There were two casts to showcase all our wonderfully talented, exuberant students. The effort is not only fun, it is a social-action project. Funds raised from the Spring Musical are divided between a local and a global charity. In 2011 the school raised funds for Japanese Tsunami Victims and for a Forest Ranch child in desperate need of a liver transplant. Gross sales for the two-day fundraising effort exceeded $1000 - way to go Foxes!